Updated November 1, 2016 – The Rexton hearing aid Onyx+ is the company’s longest lasting high performance hearing aid. This Receiver-in-Canal (RIC) hearing device provides users with a wide fitting range, to suit almost any hearing requirement. Along with numerous other features, the Onyx+ hearing aid allows users to connect to his or her other electronic devices, for enhanced hearing. 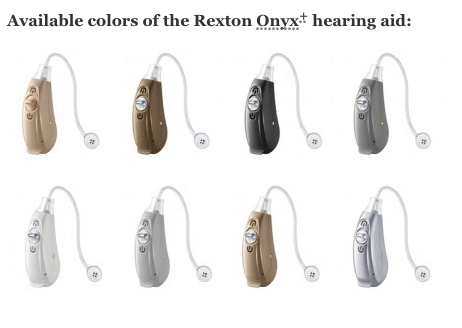 This line of Rexton hearing aids is available in multiple colors to suit the tastes of anyone. Automatic Multi-Channel Adaptive Directional Microphone: This advanced microphone technology allows for improved speech hearing, especially when multiple people are talking at the same time. This feature improves sound clarity in these difficult, noisy situations. Noise Reduction: This feature isolates distracting and unwanted background noise, as well as important speech signals. These speech signals are emphasized and enhanced, while background noise is softened. This allows users to pay attention to what is important, and ignore what is not. Sound Radiance: This feature enhances the perception of higher frequency sounds that the user may have lost. This allows users to experience a fuller, wider sound spectrum, to enjoy true-to-life, rich sound quality. Feedback Preventer: This feature eliminates feedback before it is noticed by the user, or anyone around them. This is especially useful while talking on the phone, when feedback can often become a problem. SoundSmoothing: Sudden impulsive sounds can often be uncomfortably loud for the hearing aid user, but with this feature, these sounds are dampened, for added hearing comfort. The sounds of dishes clanging or paper rustling will no longer be as uncomfortable to hear. Automatic Environment Manager: This advanced feature automatically and continuously analyzes the user’s listening environment and engages the most useful features to provide users with the best hearing possible. This allows users to make less manual adjustments as they move between different sound environments. Blu Link: This allows for convenient compatibility with the Mini Blu and the Blu RCU accessories made by Rexton. With its Bluetooth compatibility, users will be able to stream audio from their televisions, MP3 players, and other electronic devices directly to his or her hearing devices. 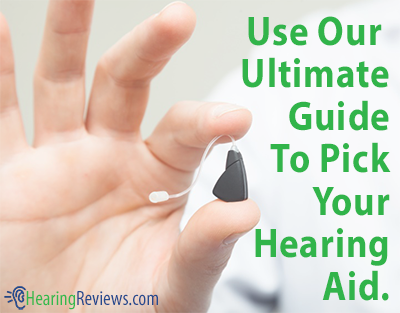 Wireless Assistant: This feature optimizes the hearing aids’ sound quality and ease of use. Rechargeability: The Onyx+ hearing aids are compatible with rechargeable, or standard batteries. Using rechargeable batteries can help users save money. Additionally, after about 6 to 8 hours per night charging, the devices are ready to be used for the entire day. Telecoil: The Onyx+ hearing aid’s telecoil allows for compatibility with hearing aid compatible telephones and other hearing systems. 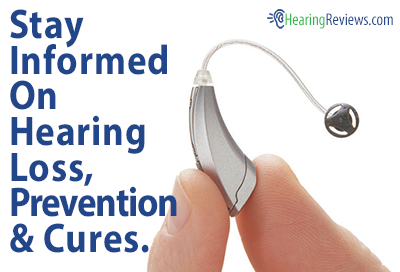 It helps to deliver maximum hearing aid performance. Autophone: This advanced program in the Onyx+ hearing aid automatically identifies when the user is on the phone, and switches to the device’s telecoil program, for the best telephone sound quality possible. This very small Bluetooth compatible device delivers the audio from the user’s electronics, including televisions, MP3 players, stereos, telephones, computers, and more, directly to the user’s hearing aids in stereo sound (heard in both ears). With up to a 30 foot range, users can watch television from just about anywhere in their home. Additionally, the device allows up to 2 connections to be made at once, so users can switch between two electronic devices. For example, the user can switch from hearing the audio of the television, to the audio of their telephone. This device also allows users to take calls on his or her cell phone, using their hearing aids as headsets. This small, Bluetooth compatible device lets users stream high quality audio to his or her hearing aids, in stereo sound, from his or her television, mobile phone, MP3 player, and more. Additionally, with the Blu RCU, users can control the functions of his or her hearing aid, completely wirelessly. This isn’t the only model we have, see the other Rexton Hearing Aids. My Rexton Onyx is emitting a series of beeps, to the point you can not keep the hearing aid in. I changed the batteries but it did not help.